It's A Dan's World: DO WE NEED TO HAVE EACH ISSUE BY A DIFFERENT ARTIST? DO WE NEED TO HAVE EACH ISSUE BY A DIFFERENT ARTIST? 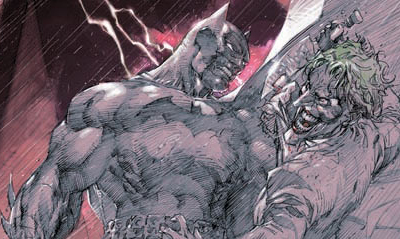 DC's new Batman: Europa four issue mini-series, will kick off the New Year by having Bats infected with a virus, and the Joker an essential part of finding his cure. In one sentence it's top ten seller, just like that - never mind the fact it's written by Brian (100 Bullets) Azzarello, and Matteo Casali. The artistic side though, drives me Joker-style insane. DC's Source blog reveals the infectious trip across Europe will be handled by an "all-star cast of artists". The beyond legendary Jim Lee gets issue one, then the remaining instalments will be rendered by Giuseppe Camuncoli (who is handling layouts for the entire series), Diego Latorre and Jock. Nice and all, but (and at no disrespect to any of the artists involved) do we really need multiple artists to produce a title, especially a mini? Batman: The Return of Bruce Wayne used a different artist for each time period so that was fairly justifiable. Fellow January based mini Captain America: Hail Hydra seems to be doing the same trick for the same reasons. But why? I understand this gives fans the chance to see a range of artists tackle their favourite characters and blah, blah, blah - but sadly it's a new fad I just can't warm too. So what do you reckon? Does this new trend make titles jarring to read? Or am I just that old that change has become hard to stomach? Either way, it sure makes you appreciate the titles where artists are given a decent turn at bat. I completely agree. I like consistency in my comics, and an artist toggle just doesn't do it for me. Thanks for the comments Jimmy! I completely agree. Honestly, I'd rather just have the book come out on time, so I can see the upside. World's Finest was a recent mini-series that had multiple artists but maintained a cohesive feel. 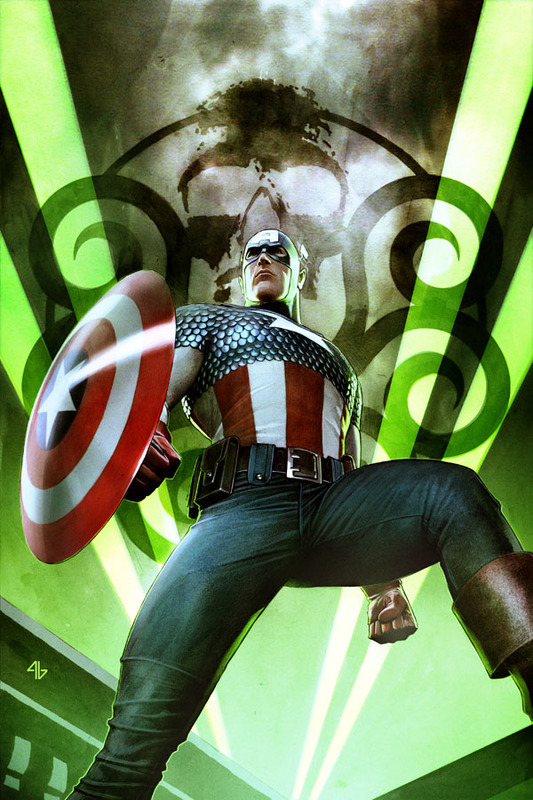 And that Cap image is awesome. Thanks Kello - I still reckon when it comes to on-time and the same artist we can still have our cake and eat it too - but who knows, maybe this is the new way? That Cap image is awesome isn't it, it could be the movie poster it's so sweet.